Cinder by Marissa Meyer, first in the four book series The Lunar Chronicles that came out Jan. 3, 2012, is filled with the sauce of awesome. Like if you put it in front of a car tire and then ran over it, the awesomesauce would squirt out and hit some dork in the eyes a mile away (don't worry, he was asking for it). Silliness aside, this book was good. And how do I know it was good? Because at one point my husband came into the room while I was reading and asked me if everything was okay. That's when I realized I was making some serious and intense faces as I was reading the book, my brows were so knitted together. Even though you can guess the plot and many things that are going to happen in the story, it does not take away from the story at all. And though you might know ahead of time where a bulk of the story is going, you do NOT know this thing, or that thing, and definitely not that other thing that I will not mention. I don't want to spoil it for you. I mean come on, we are all familiar with the Cinderella archetype. There are over 1,500 versions of Cinderella all over the world (I read that in the introduction to one of them, maybe the Algonquin Cinderella story? Or maybe the Egyptian Cinderella? There's an anklet instead of a shoe in that one). We know how it goes. But Cinderella with cyborgs? And a plague? And crazy moon people? No, this is quite original in all the interesting places. You won't regret reading it. And guess what? Cinder made it to the NY Times Bestsellers list. Boo-ya. Humans and androids crowd the raucous streets of New Beijing. A deadly plague ravages the population. From space, a ruthless lunar people watch, waiting to make their move. No one knows that Earth’s fate hinges on one girl. . .
Download the FIRST FIVE CHAPTERS FREE! "Glitches" is from TOR.com with artwork by Goni Montes. * What IS a cyborg exactly anyway? 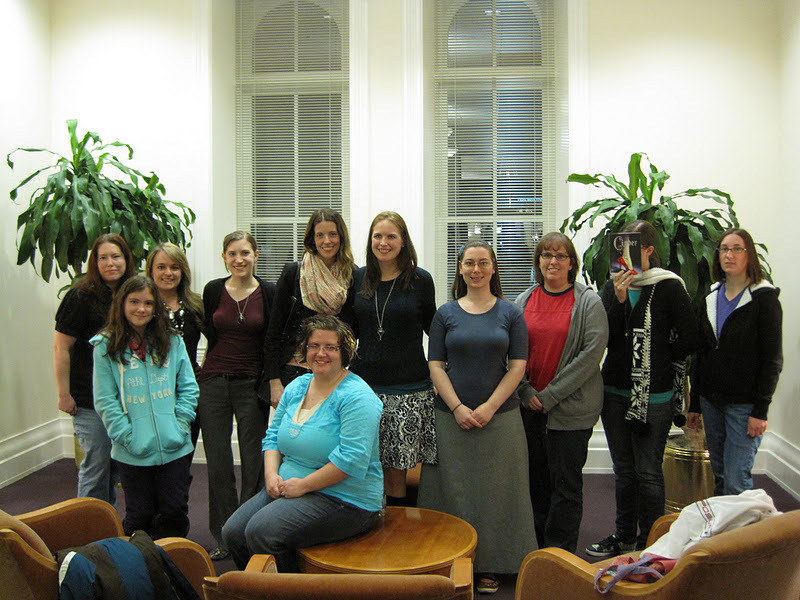 Sooo, Marissa Meyer came to the Provo Library on Jan. 12th for a lecture! And we book bloggers had a little informal get together with her beforehand in which we got to ask her questions and just have a nice time. Below I have typed my notes from both the author chat and the lecture. Could you tell us the synopsis for Cinder? 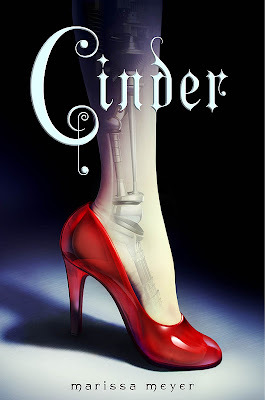 Cinder is a futuristic version of Cinderella. In China. The main character is a cyborg; part human, part machine. In this futuristic society cyborgs are oppressed and not trusted or understood. Her [Cinder's] stepmother doesn't want her in the household. Cinder is a great mechanic. That reputation brings the prince to her booth to fix an android. This thrusts her into the politics of the society. Concerning your upcoming books, are they companion books? It's one continuous storyline. Cinder is the heroin so you'll see her in each story, but she'll meet other fairy tale heroines. In time they will all come together. The second book [Scarlet, 2013] will be about forty percent Cinder, sixty percent Scarlet. What is the Eastern Commonwealth? Is it only China? The Eastern Commonwealth actually goes from Japan to India and a large part of Russia. There are six total commonwealths on Earth. It's easier to just say China sometimes. What do the characters speak? There's a universal language. There are different dialects and slang, but there is auniversal language that everybody speaks, including Luna [the civilization that sprung from the moon colony]. Will we see more of Prince Kai (pronounced K-eye)? Prince Kai's role is fairly small in book two, but will be more in the other books. Where did the idea for Cinder come from? It started as writing contest. There were two choices you could make for the subject so I chose future and fairy tale. I did a futuristic Puss in Boots [Sailor moon fan faction version, of course. "Luna v 4.2"]. Afterwards, I thought I could do a whole series [of futuristic fairy tales]. One night, as I was falling asleep, I thought of doing Cinderalla. I used to write fan fiction. Sailor Moon fan fiction specifically [since she was 14]. How did you get this four book deal? Cinder kind of ends on cliffhanger. I was upfront from the start with the agents I was querying. I told them that it has to be a four book series. The agent I have now accepted the series. I sent the manuscript of Cinder to the publisher with the other book outlines in the series. So you are an outliner? I am definitely an outliner. Not that it doesn't completely change sometimes, but I do have a plan. How many other stories have you written? This is my first finished novel but I've been writing fan fiction since I was fourteen. Even when you do figure it out early on, the suspense is in the characters figuring it out. Do you read the reviews of your book? I made the choice early onto avoid reading reviews. I'm into anime. I've been to Sakura-Con [an anime convention held in Washington]. I was a huge anime fan, but don't have much time anymore. Do you have anything in the works for after The Lunar Chronicles? It will still be within YA, but we will have to see later what it will be. I have SO many ideas. What's your writing schedule like? How do you balance with other aspects of your life? I just got married in October. So no kids yet. 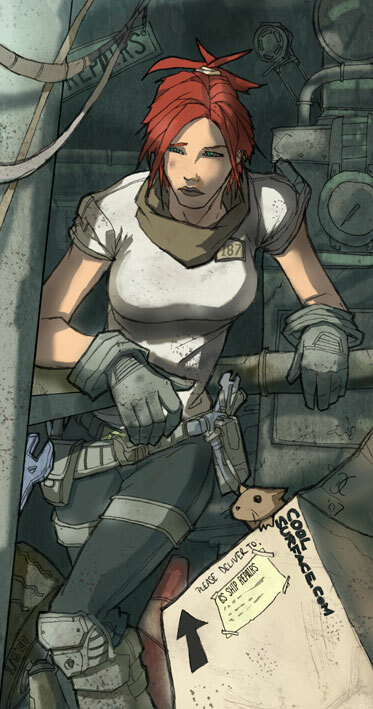 Before Cinder was published, I'd try to get in at least four hours a day with Scarlet, but now I have less time for writing because of touring etc. Do you feel more pressure in your writing now that you have a four book deal? The second one was almost done when I got the book deal. Books three and four are already drafted out. We'll see if it's more pressure for those. Megan Bostic, Marissa Burt, Jennifer Shaw Wolf, Danny Marks, J. Anderson Coats. Oh yes. I don't know if it can be measured, but it was everywhere! It did hit the New York Times this week. So thank you! Do you enjoy socializing on twitter, etc.? Is it still fun or is it work now? This past week has been overwhelming, but I expect it to die down. I love it. I love seeing what's talked about, and what people are looking forward to [books]. I love being a part of the blogging world. Three. Divergent, Anna Dressed in Blood, and Scorpio Races. Oh, and Daughter of Smoke and Bone. I think it's awesome. When I first saw it I had a small hesitation of the red shoe because it's not in the book. But I look over it now and I think it's brilliant. I'm glad it's not a pretty girl in a pretty dress. It kind of jumps off of the shelves. I've been getting an awesome response from book stores too about the cover. They say it really attracts attention. How is it being the spouse of a published author [asked of her husband, Jesse]? Has Cinder been optioned for a movie? It has not been optioned for film yet, but I have had a lot of directors email me about it. So hopefully! Are there any disadvantages of doing a fairy tale retelling? I haven't had any complaints. People who have read Cinder have had good response. There are similarities but also many differences. Other diffences will come into play later. A lot of big things, like the plague will come into play more in the later books and their fairy tales elements. I am a fan of most things geeky including Sailor Moon, I'm also a fan of fan fiction, and fairy tales. I majored at Pacific University in writing. Cinder is my debut novel. It's a futuristic reenvisioning of Cinderella. Each book in the series is based on a different fairy tale. Cinder is the hero of all four books, but in the other books you are introduced to other characters. I started writing when I was fourteen after a friend introduced me to Sailor Moon. I really really fell in love with it, so I started writing fan fiction. I did that for about ten years. So one day I decided to enter a fan fiction contest. I did a futuristic Puss in Boots. It was about a talking robotic cat who was trying to convince this school girl that she was a moon princess. There were only two entries to the contest --but I didn't win! But it gave me the basic idea to retell futuristic fairytales. I was drifting off to sleep one night and had the idea for Cinderella as a cyborg! I had to crawl out of bed and write notes. I could see her with her robotic parts and instead of mice she can have robot friends, and instead of a carriage it's a hover car. I participated in NaNoWriMo. I had done it two years before and was successful. Then I heard about another contest from the [NaNo] liaison in Washington. The person who wrote the most words would get to do a walk-on on next Star Trek episode. "This is going to make me the coolest person in my family!" I thought. I ignored that fact that I was in school full-time and working on a masters, etc. I had to write one hundred fifty thousand words. I planned out the four books. I made detailed outlines. The month was a complete blur, but I did it! One hundred fifty thousand and eleven words. I had so much of the first three novels written. Then I crashed and let the novels sit for a little while. Then I came back to Cinder and completely rewrote it. It took me about two years to get to the point that I felt it was a good manuscript. I thought I would brave world of agent submissions. I was scared and anticipating many rejections. I queried fifteen agents and got three offers. It took about two months. Then two weeks for submission materials. My agent put Cinder on submission on Friday and it was taken on Monday. And no. I did not get to walk onto Star Trek. I was third place. But I have a book now, so I feel like I won. Cinder is in the junk yard with her younger step sister Peony and they are talking about the Lunars. Two weeks for the first draft. But two years of revisions to send out to the world. How was editing with an agent? It went quickly. And with the editor it was painless. They picked out a few global plot things that could use work, but for the most part, the work didn't change very much. How did you decide on which fairy tales to retell? I made list of my favorite ones and thought of ways they could be future-ized. I originally thought of making separate stories, but then they began to over lap. So the four stories that ended up in series where the ones that came together most naturally. Are the titles set in stone? All four titles are mine from early on. And they are printed in the book [Cinder] as coming soon, so they are solid. Any issues with using well known stories? No. Fairytales are public domain. Who is your favorite scout [from Sailor Moon]? I'm stuck in Lunar Chronicles land right now, but I have many ideas for later. Do you have some good advice for aspiring authors? This is probably the most cliched, but it's to write a lot and to read a lot. Writing all the time is how you develop your voice and craft and by reading you learn what other writers are doing and what the clichés are. Pride and Prejudice, Scott Westerfeld, Harry Potter, Shannon Hale, Gail Carson Levine, Gregory Maguire, The Book Thief. Not while I write, but I do have brain storming music. I lay on the floor and listen to my Lunar Chronicles play list. It's mostly classic rock and alternative rock. It's all still so new so I don't have a set schedule yet. But before, when I was working on Scarlet [book 2] everyday, I'd getting at least four hours of writing a day aside from checking blogs and emails, etc. for the business end of things. Some authors say that you shouldn't read too much of one author because you might steal unconsciously. What do you think? When I had the idea for this I read all the Cinderella retellings I could and lots of sci-if. I wanted to see what was already out there and to find out what had been done already as well as to try to avoid the cliches. The Lunar Chronicles books will each be a year apart. I have the first drafts of books three and four. But they could be scrapped and totally rewritten. What's been most challenging part of your journey? Not fairytale-like? I don't know. I know that when I was growing up I thought it would be easy to be a writer and to be famous by the time I was eighteen. It didn't work out, but that's normal. So there is no single part that stands out as being [overly] challenging. How does it feel to see your book on a shelf? It feels amazing. It's a dream come true moment. When the book came on sale we drove around to sign stock. We went to a Barnes & Noble at 8:30 AM to sign the stock and one book was missing. Then we saw a guy in a chair reading it! So cool. Do you have any ideas for what the upcoming covers might be like? I suspect some iconic red like the Cinder shoe. Maybe a red cloak or red hood for Scarlet, but I don't have any preconceived notions. I'm excited to see what they do. I do organize my book shelf by color. I keep list on computer of what I own and want by priority. I chose my agent because she represents Scott Westerfeld; he is my writing hero. I chose others because they represented other favorite authors. And I also looked on AgentQuery. Once I had an agent, it was her job to submit my manuscript to publishers. I'm not sure how that works other than they know which publishers to look for. My agent had asked publishers who were interested in Cinder for a marketing plan. The one they went with presented a huge and impressive marketing plan (go Feiwel and Fiends!). Isn't Marissa just the coolest? Go Sailor Moon! Ahem. Scroll down for the official trailer as well as an audio version of the first chapter of Cinder read by Rebecca Soler (what, not Luner?). And read this book! It's great! From middle-grade readers on up! Wow!! What an awesomely thorough post! Thanks so much for coming to the event and giving this vicarious re-cap for your readers! No problem! It was great to meet you, Marissa! Thanks for coming to visit us! And for writing such a great book!